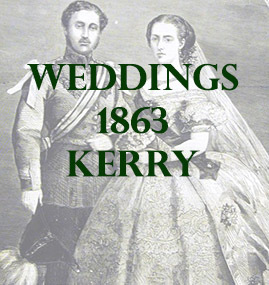 The following list contains marriages that mention places in county Kerry. At Blair’s Cove, Garrett Sealy Barry, Esq. M.D., Killarney, to Jane M. Blair, daughter of the late Richard L. Blair, of Blair’s Cove.